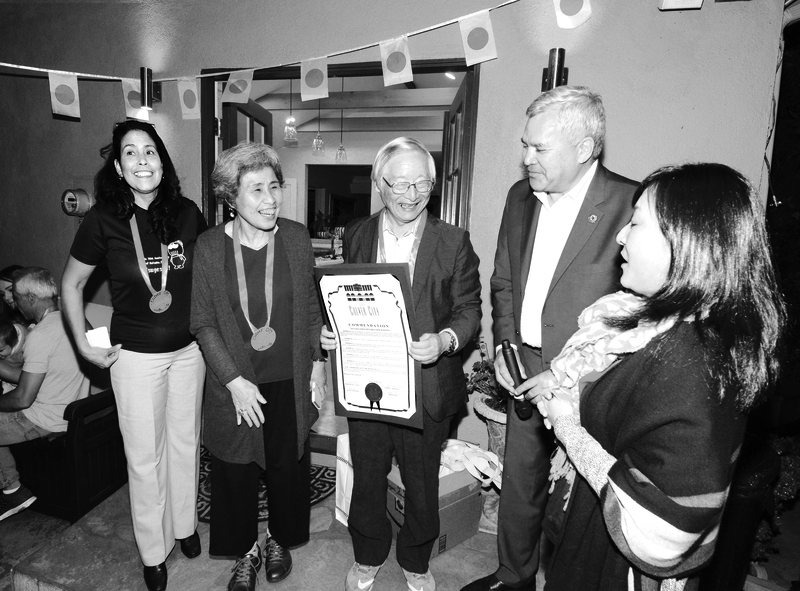 Kaizuka guests Chiyoko and Nao Shigemoto, at center, receive a City of Culver City Commendation from Mayor Thomas Small at Sunday’s gathering. The Shigemotos have hosted Culver City Sister City delegates for decades. 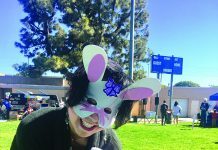 At left is CCSCC President Nancy Perdomo-Browning and at right, is Kumiko Sasamori of Culver City. Sasamori served as one of several interpreters.